Please have a look at the Butterfly wiki! Butterfly (0.7" x 1.4") is a small, low-cost development board with simple, open-source design that will allow just about anyone to make use of the STM32L4 in their own custom applications. Butterfly relies on a single, inexpensive 32.768 kHz crystal oscillator and doesn't require the ST-Link built in to the STM32 Nucleo boards. 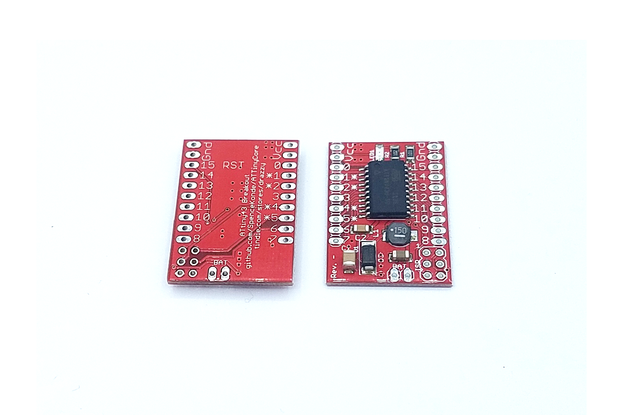 Applications can be developed using the Butterfly development board, which provide access to all GPIOs and peripherals of the STM32L4. When the application has been sufficiently proved out, application-specific hardware can be designed using the STM32L433 development board as a design template. The 7 mm x 7 mm QFN48 package of the STM32L433 is space-efficient, low-cost but a still powerful solutions to embedded computational and sensor management problems. 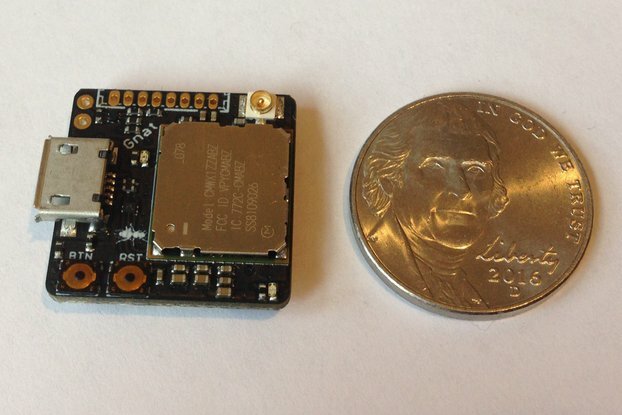 Better still, the rich set of low-power modes allows very long battery life in remote and wearable applications. Ever since I first learned how to use my beloved 8 MHz Arduino Pro Mini with the Arduino IDE I have pined to move up to the more powerful STM32F4 with its faster CPU clock, floating point engine, and rich peripherals. I bought STM32F4 Nucleo and Development boards and used mbed to program them but this was a very frustrating experience. mbed is sufficiently different from the simplicity of Arduino that I literally had to completely rewrite my sketches just to get them to compile. I don't know how many times I tried to use adult tool chains like Keil and gcc/eclipse to program these powerful MCUs but I never even got past the installation process getting stuck somewhere in the complicated series of steps to download and install various parts of the tool chain. I took several ST-sponsored training classes to learn how to use ST-Link and the STCubeMX system with the Keil and IAR tool chains to blink leds and read sensors. But when I tried to use the STM32 development boards at home I could never get them to work. Frustration maximized, I turned to the Teensy 3.1 for my projects and rejoiced in the ease of Arduino programming via the USB and forgot about the STM32 for a while. When ST released the first STM32L4 MCUs my interest was rekindled. Here was offered the performance of the STM32F4 with a floating point engine plus the low power consumption demanded by many of my battery-powered wearable and remote logging projects. I immediately designed a development board for the STM32L476 and tried to program it using ST-Link and STCubeMX after taking yet another ST class on how to program the STM32L4. I couldn't make it work, but fortunately for me Thomas Roell noticed my design on the shared space at OSH Park and asked to collaborate on improving it. There and then our deal was struck: I would design and build the hardware, he would design and build an Arduino core and we would both test and use what has become one of the highest performance MCUs available to the Arduino community. We started with Dragonfly, an STM32L476 using the 10 mm x 10 mm LQFP64 package, with 16 MByte QSPI flash on board, a supercap for RTC battery backup, an rgb led, 16 MHz and 32.768 kHz crystals, and all GPIOs exposed to the user including the SWD port for those who might want to use a ST-Link to program the board the old-fashioned way. What a delight to have access to an 80 MHz MCU with FPU including five serial ports, three SPI ports (or two plus an I2S port), three I2C ports, one CAN port, thirteen PWM-compatible pins, and two separate DACs, all programmable through the USB using an Arduino IDE and standard Arduino APIs. It was like having a Teensy 3.1 on steroids! We realized that not everybody needed the extra hardware and peripherals that were included with Dragonfly. So we extended the Dragonfly family to make use of the latest STM32L4 MCUs that come in smaller and more cost-friendly packages; Butterfly with the STM32L433 and Ladybug using the STM32L432. We designed Butterfly for small LiPo battery operation. There is a port for a JST battery connector on the board as well as a Vin at the board edge that connects to the battery anode so peripherals like haptic motors or displays can be powered directly from the battery, or the board can be directly powered from Vin. We chose the NCV8170 150 mA 3V3 LDO because it has a quiescent current of only 500 nA. We included a green power-on led so users could tell when the device was powered but added a solder jumper (on the back) to allow the trace supplying power to the led to be cut and reconnected easily. Even though the led uses a 4700 Ohm current-limiting resistor, it still draws 280 uA, which is a lot when weeks of battery life is required. (1) Fully-functional USB programming (not indirect through a UART bridge); hence USB/CDC, USB/MSC and USB/HID are supported . 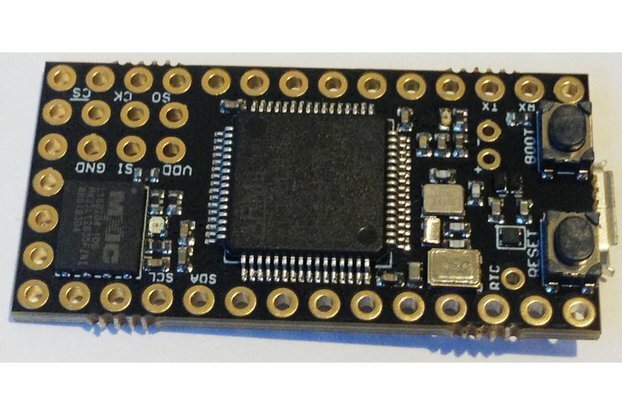 USB/MSC means drag and drop files to/from any SPI flash attached to your Butterfly or Ladybug from/to your pc! (2) No complex software setup needed to deal with ST-Link or JTAG debuggers. Simple Arduino IDE integration via USB/DFU. (3) Logical pinmap to comply with the Arduino UNO / Arduino Zero while adding additional UART/SPI/I2C peripherals in a consistent way. 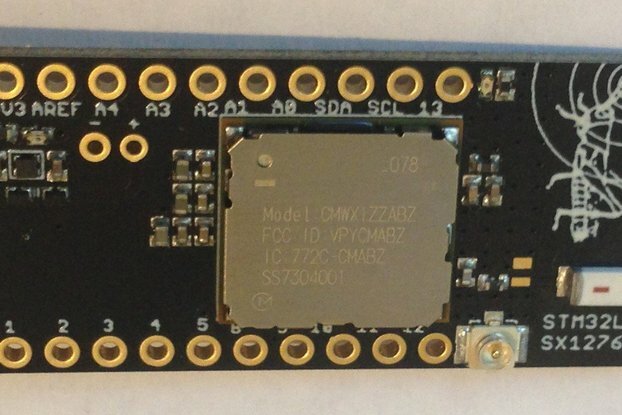 (STM32L432 Nucleo exposes one UART/I2C/SPI port each to the user). (4) RESET & BOOT buttons for ease of use with traditional tool chains. Butterfly is open source so you can use the design any way you want. 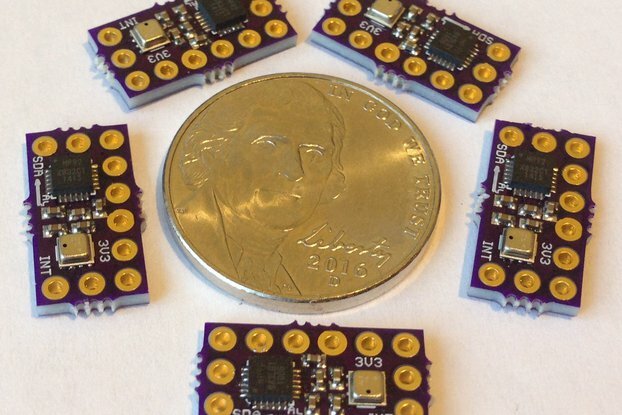 Have some pcbs made at OSH Park and assemble some of your own, or order the assembled and tested Butterfly Development Boards from me and see how easy it is to get the power of a Cortex M4F MCU working for you! I ordered the board as I was planning to use it for marine compass in conjunction with Ultimate Sensor Fusion Solution board. I had no problem getting both boards to work on their own with provided from Kris (the creator of the board) samples. I also was successful to compile the test code for the Ultimate Sensor Fusion Solution to run on the Butterfly board. Both hardware solutions are well executed and great performers. then I tryed to implement my full code that I was successful running on Teensy3.1. Here is where I start running into problems. There is very little to none compatibility described into the documentation, so I presumed that I would be able to compile the code written for Teensy or Arduino to run on the Butterfly STM32L433. This is where I was wrong with my assumptions. 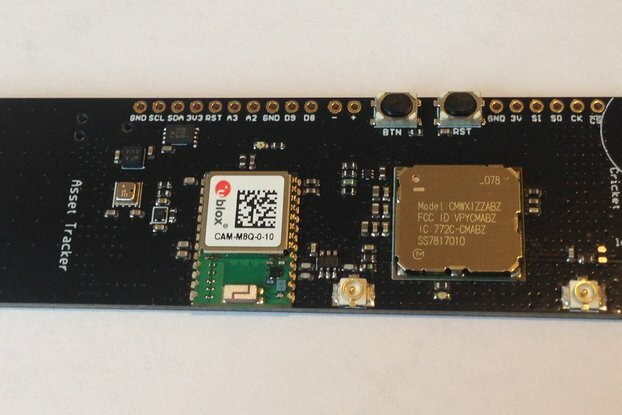 I ether couldn't find it, or it doesn't exists yet low level drivers for CAN bus support for the Butterfly board. Neither could I find examples, of the use of the DAC1 and DAC2 located on the board. Kris was so kind to answer my email about the DACs, but just to tell me that there might not be an example yet. 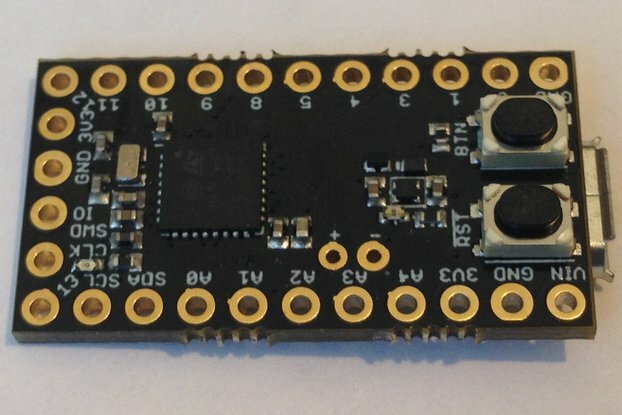 In retrospect, I did presume that the Butterfly board will be easy replacement for the Teensy3.2, but it has proven more of a challenge to me and impossible to use with the NMEA2000 libraries due to lack of low level CAN bus driver. 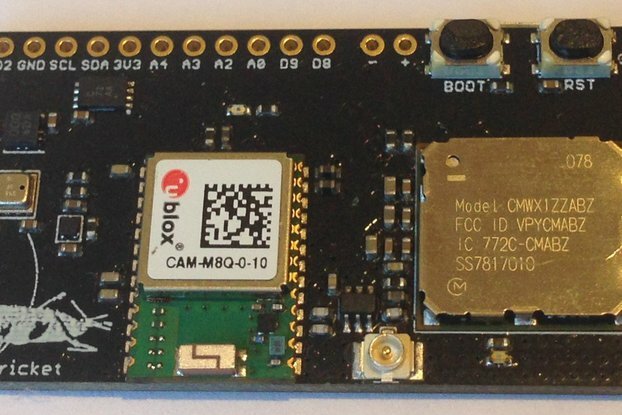 I hope that this is because the board is still new, and Kris have been very busy with other projects, but I also hope that he is planning to write the support drivers and more examples soon, so people with less experience can use this excellent little board. The bottom line is that the better the documentation and the support files are, the less time Kris will need to deal with answering support questions. To summarize, great little board! I wish I could make it work for my project... for now back to Teensy. Regrettably I had to order much larger Teensy 3.5 this time, as I need the dual DACs output. I hope someone will write the CAN buss support, because that's definitely is not my forte, and then I can get done what I needed done using this small, yet powerful board. Thanks for the detailed review Jordan. Unlike the Teensy, we haven't yet benefited from the army of users who write APIs and libraries to use with this family of dev boards. I hope others who need to use the CAN peripheral will step up and pitch in. We will eventually get to it ourselves, but we can't do it all, or at least we can't do it all right now. I received my Butterfly development board just today, after ordering it Thursday. I was surprised how quick it shipped. I have been playing with it all day and I see that the board would be great for prototyping circuits that require an ARM MCU before actually designing and manufacturing the PCB. 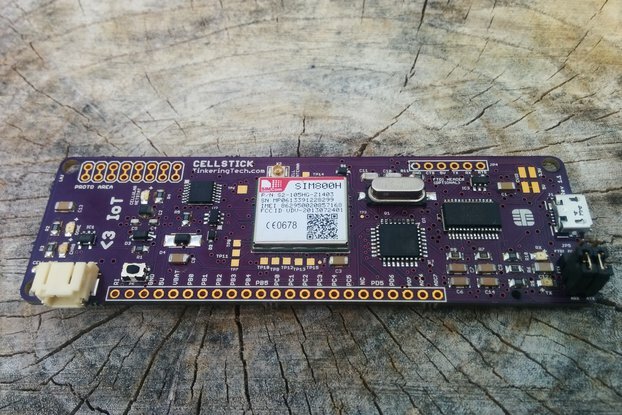 There are tons of add-ons for it and I am excited to try out the SPI flash and GPS in the future. After looking through the Arduino board files I have found lots of methods which can put it to sleep or in lower power modes. I would really appreciate it if there was some documentation for such things. Although, Kris is great at communication because he answered my questions about the Butterfly way faster than I expected. Thank you for such a great board and please keep making more like this in the future! Thanks for the detailed review Cameron. Yes we are behind in full documentation. 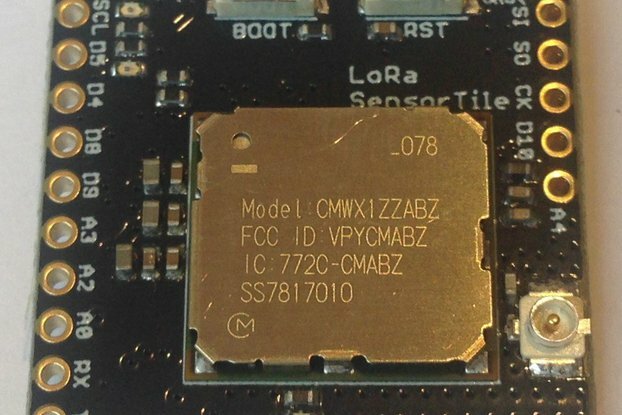 We are working to extend the STM32 family (adding the L452 and L496 MCUs as well as L052 and L082) and peripherals (nRF52 add-ons and SX1276 LoRa radio, etc) so we have only been able to push examples of method usage to our github repository in the form of sketches. There is a nice discussion of ultra-low-power sensor data logging here: https://github.com/kriswiner/Ladybug/tree/master/BME280_VEML6040 which shows how to use the STM32.stop() method. Other examples will be forthcoming, but for now this is the method I use and would recommend. 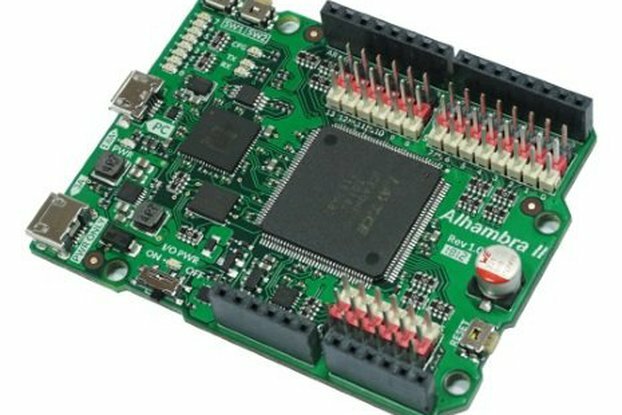 This is a great product for getting started using an Arduino board. The pin outs are well documented so there is no issue getting it up and running. The onboard LED's are a nice touch and let you know that it is working. Once you add the board manager to the Arduino IDE it's simple matter to download the board configuration and interface. After that just start running your code. 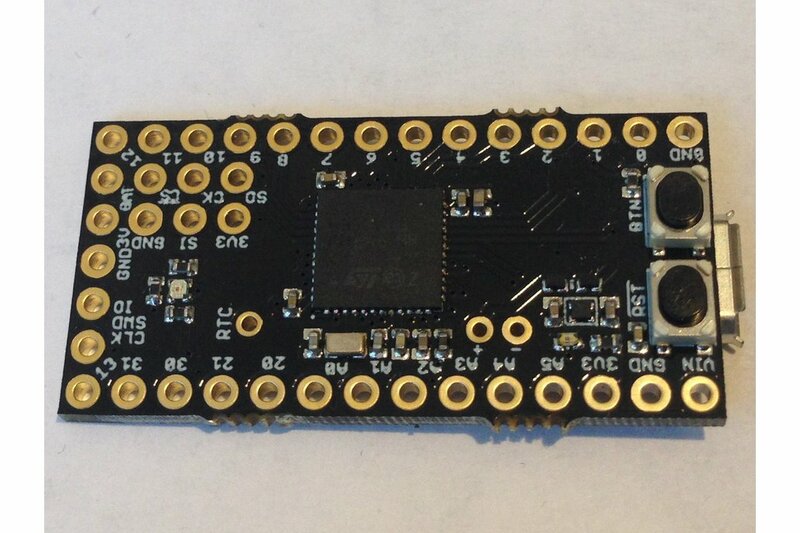 I used it with a Sparkfun MPU9250 board and was able to hook it up and run the code unmodified.